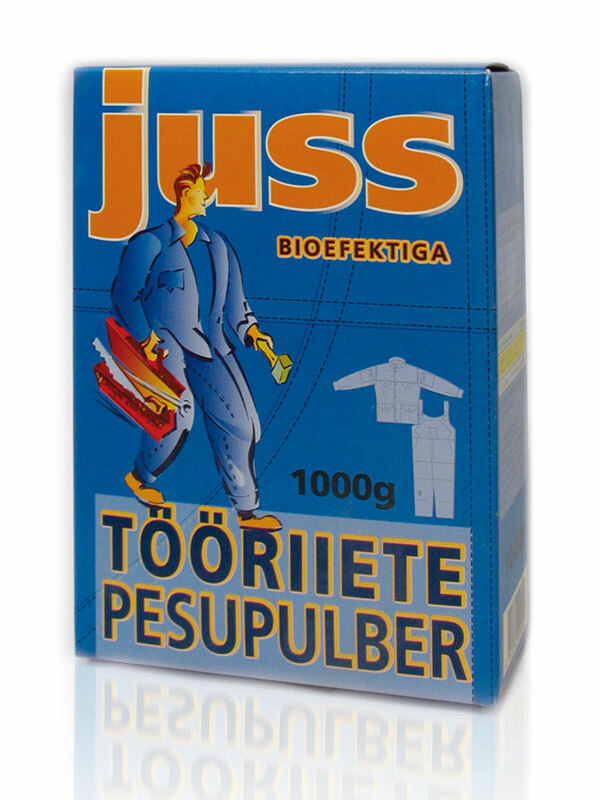 This detergent for work clothes uses a simple graphic device of covering the pack with denim stitching. Advantage is taken of the short brand name which allows is to appear big and bold. Strong blue and orange “industrial” colours are used throughout the text, background and illustration. Overall, the design is simple and strong to communicate the straightforward features of the product itself. Different to the delicate and scented washing powders, this pack design stands out on the supermarket shelf – so, it is even possible for a man to understand what this type of washing powder is for.